Department of Defense. 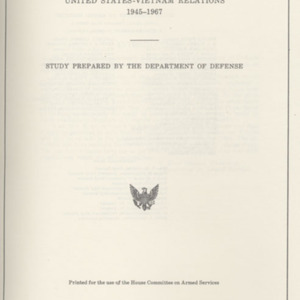 United States-Vietnam Relations, 1945-1967. Washington: U. S. Government Printing Office, 1971. 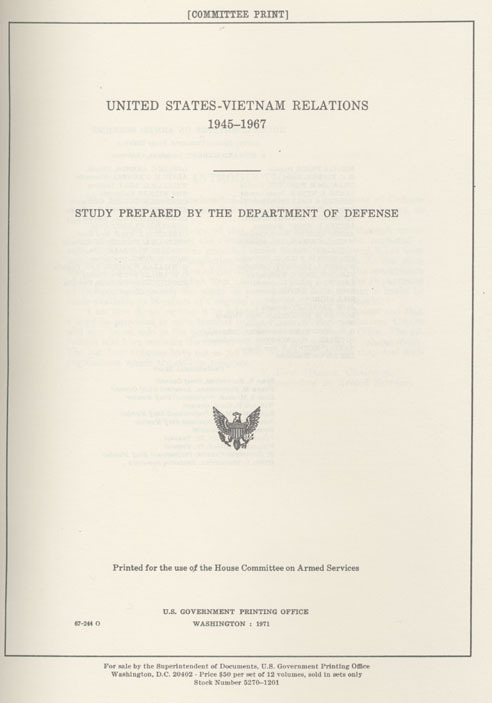 “DoD pamphlet,” University of Virginia Library Online Exhibits, accessed April 23, 2019, https://explore.lib.virginia.edu/items/show/622.